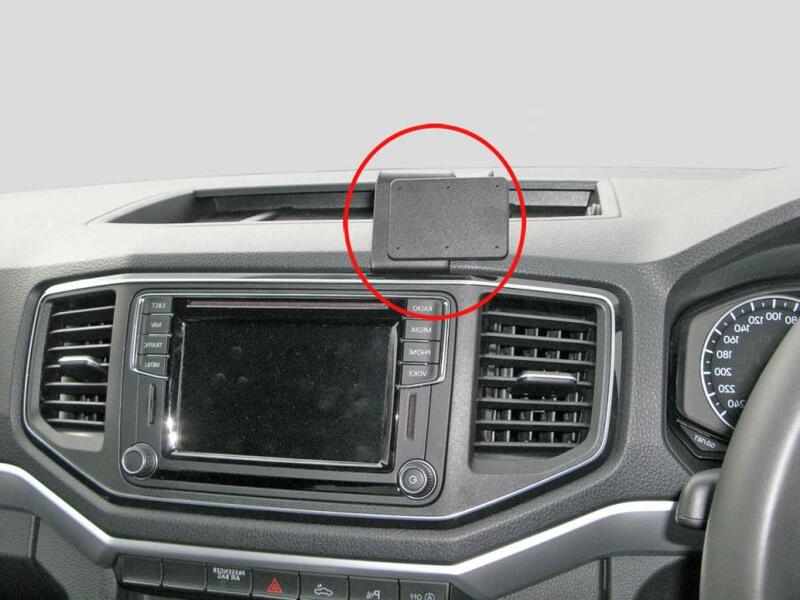 Keep your device within easy sight and reach in your car! 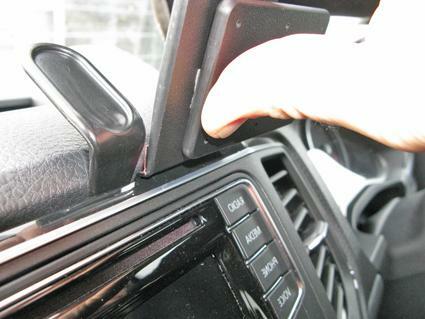 The ProClip makes it easier and safer to use handheld devices in vehicles. 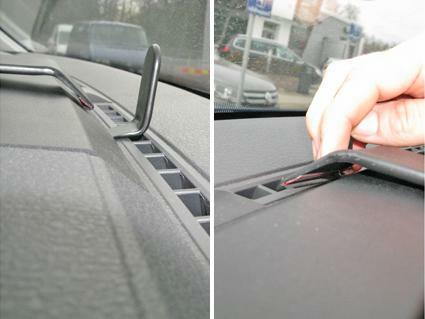 The ProClip is a mounting bracket that you attach to the dashboard of your car. 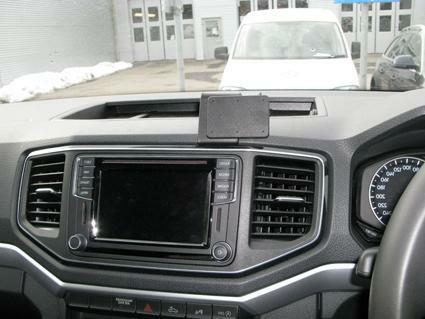 Onto the ProClip, you can install any accessory, e.g. a holder for mobile phone or other communication device. 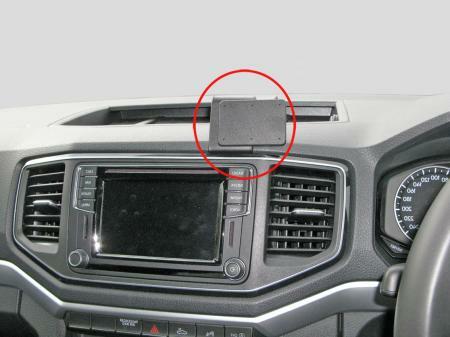 The ProClip is car specific, it is customized for each car model and has a perfect fit. The ProClip offers a firm mounting platform and is available in multiple positions for most vehicles. Discreet design that blends in well with the interior. Safe, neat and convenient! The ProClip is easy to install, you can do it in a minute! 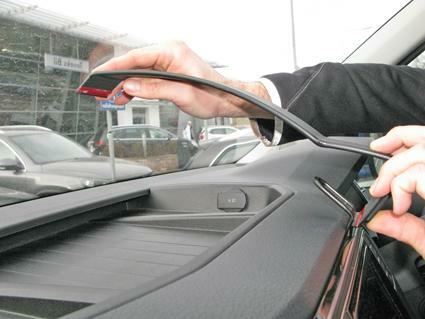 You simply snap the ProClip into place in gaps in the interior, you do not need to drill holes or use special tools or dismantle the dashboard. Detailed mounting instructions included. The ProClip has predrilled AMPS holes for easy installation of a holder. Made of high grade ABS/Acetal plastic. Color: Black. Developed and produced in Sweden. - Do you want to be able to switch between several holders on the same ProClip? Please see Brodit’s MultiMoveClip. - Are you installing larger devices or heavier equipment? Please see Brodit’s Extra Strength Mounting Platforms and Pedestal Mounts. 1. Insert the thin end of the enclosed gap opener into the gap between the frame surrounding the center console panel and the dash, to widen the gap. Use the enclosed alcohol pad to clean the area where the ProClip is to be installed. Peel off the adhesive tape covers on the ProClip. Insert the angled lower edge of the ProClip into the gap next to the gap opener. 2. Flex the upper edge of the ProClip and push it forward/downward until the angled upper edge aligns onto the top of the dash. Remove the gap opener. 3. Insert the thin end of the gap opener into the gap on the forward edge of the dash, to widen the gap. Hook the angled upper edge of the ProClip into the gap next to the gap opener. Remove the gap opener.